The Rose Tearooms - Fork and Good. 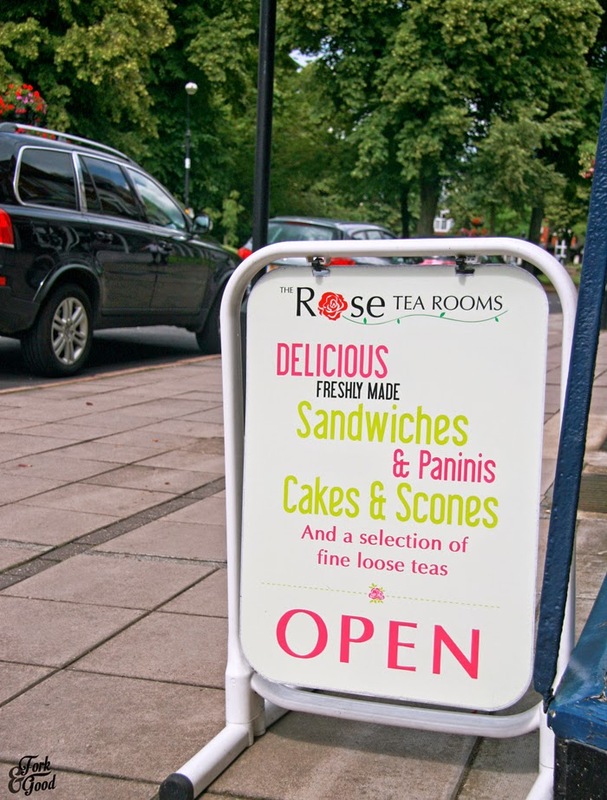 UPDATE: I'm sad to say that the Rose Tearooms has now closed down. But I'm gonna leave this up in memory anyway of how lovely it was. 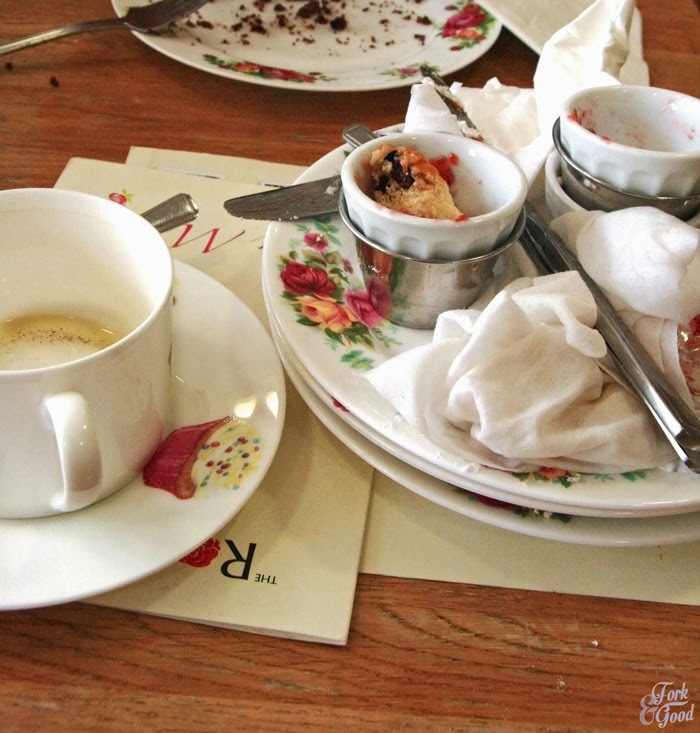 When I took a break from the blog to plan my wedding last year, I was saddened by the fact that I was going in lots of lovely tea rooms and not really being able to share them on here. During dinner with my friend Fiona (we bonded over a love of food and puppies, she's awesome) we decided that this should be rectified. 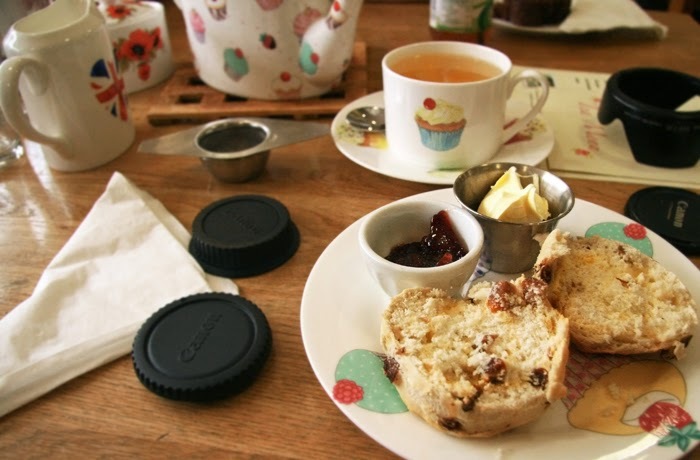 We would go back to a tearoom we had visited in early June and sample the joys of it. You know, for the blog. We would take her two wee boys. Who, last time preferred to wear the cake rather than eat it. We decided on a date and here we are. 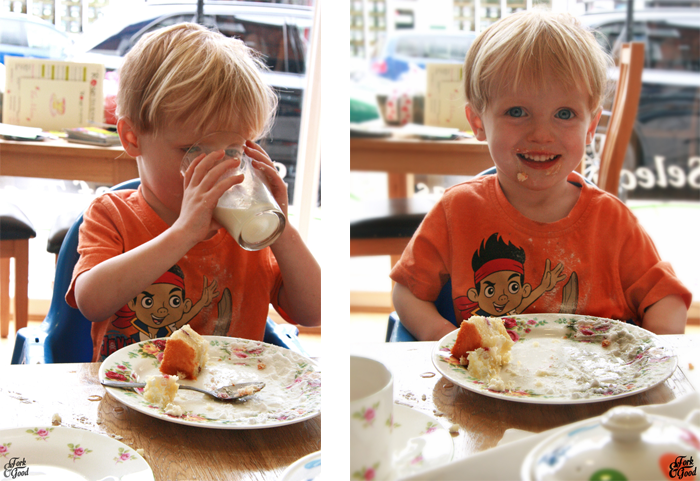 Kris and I gathered up the camera bag, Fiona packed baby wipes and a change of clothes (for the boys, not her) and we set off to eat cake (or smear it on our faces, no judgement boys) and drink tea. All for your reading/ viewing pleasure of course. All in a hard days work. 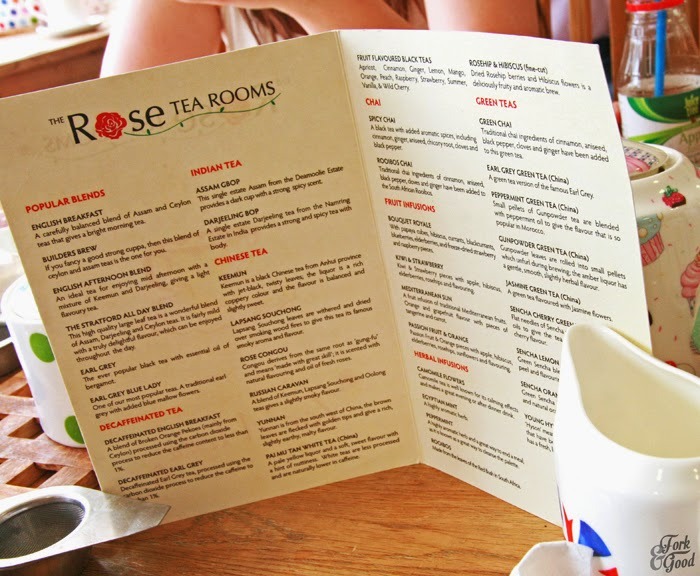 The Rose Tearooms are a small little cafe type tearoom, close to the theatre and little independent shops. It lives on a crooked street, usually decked with bunting and surrounded by greenery. It's my favourite part of Rugby, the perfect place for a little tearoom. You enter and the first thing you notice is that it's light, and it's usually packed. It's the right side of modern, homely and kinda cute. They put more effort into the food they offer and I love that. 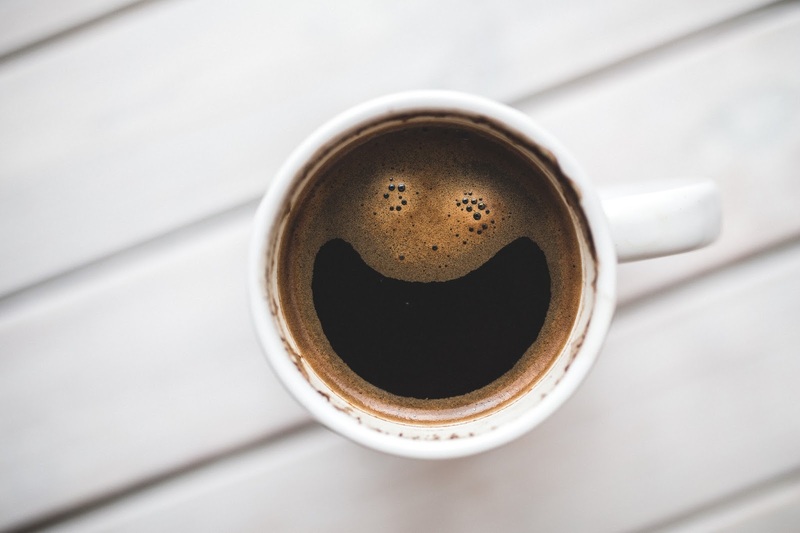 The staff are all really friendly, and that makes a big difference. Let's get down to business. The tea. You get a nice big selection here, and you can buy boxes of it at the front desk (always helpful if you love something). It comes in a pot for one, or a pot for two. You get a fair amount out of either. We opted for an English Breakfast (you can tell a lot about a place by it's English Breakfast) and a sencha Cherry green tea between us three Adults. 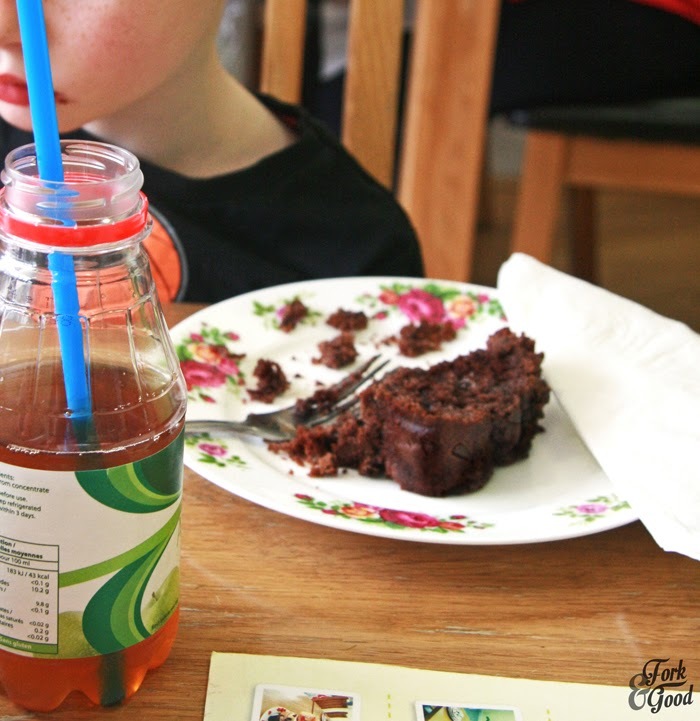 The boys had apple juice, and whilst I do love tea, I was a bit jealous when they got a straw. No straws for the adults, but whatever. The tea comes in quirky pots, some with flowers, some with fruits and some with cupcakes. It's all following the same light/white theme. I like it. It's running with the modern vintage theme and I totally dig it. There are some tearooms I go into for the decor, and there are some for the food. 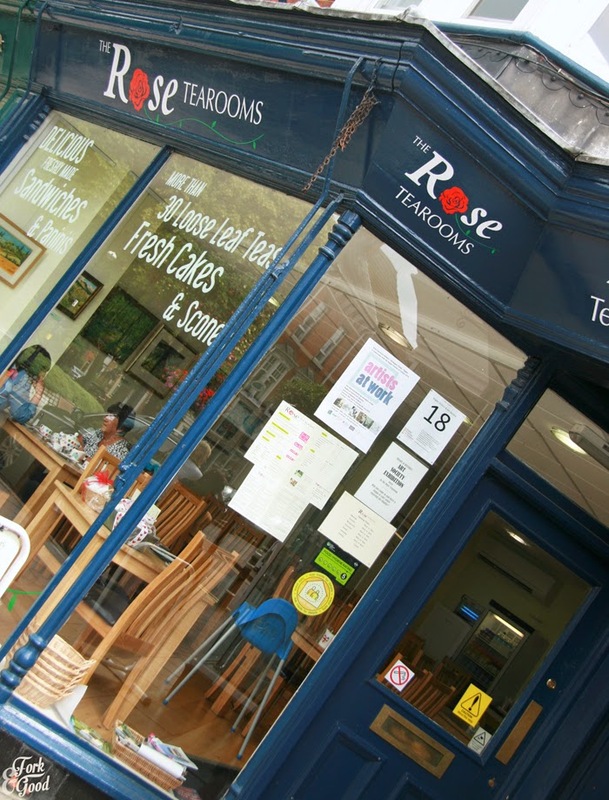 With the Rose tearooms, it's the food. It's pretty simple, they do sandwiches, paninis and other lunchy bits. You can pick your bread and your fillings from a list. It comes pretty quickly, and the sandwiches are huge. You definitely get your moneys worth, which is great, because this place is seriously good value. You can get a cuppa and a sandwich for two people and it will cost you under a tenner. It's made right in front of you as well, the little kitchen area overlooks the whole tearoom. But on this occasion, we came for the cake. So, we all had cake for lunch. No regrets. Specially from these little dudes. The cake selection was pretty awesome. I've personally tried the scones (amazing), the chocolate cake, the Victoria sponge and the toffee cake. Everytime I go there's something a little different. The decor? Plain walls, with pretty art (which is for sale by the way) dotted around the room. It's not too busy, and sometimes, that's exactly what you're after. Plus it makes taking pictures super easy. Yay for natural light! So the adults (I use the term loosely) got on with the eating and the drinking. The tea went down pretty well, the only downside being that there isn't a removable strainer in the teapot so it can get pretty strong if you don't drink it quick enough. But that's a pretty feeble complaint. The tea is really nice and sourced from a tea company in Stratford, which is obviously not far away from Rugby. 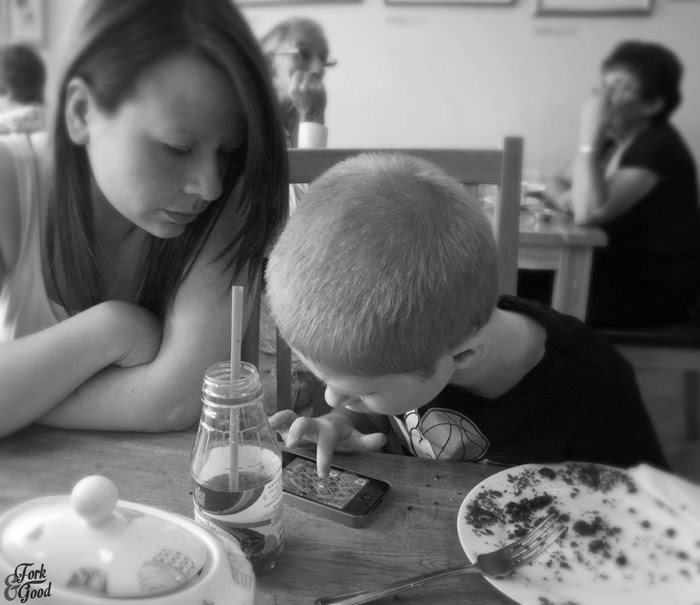 Here is Kris and Fiona enjoying their tea. Nice view of the art too. I liked the giraffe. Giraffes are awesome. What I love most about the tearooms is the variety of people that were inside. Old groups of friends, little old ladies in their raincoats, families, people in their lunch breaks, young couples, builders and whatever else you can think of. It's a real mish-mash of people, and I love places like that. Places that make anyone feel comfortable. So another great thing, those builders? Those young couples? Those people in their lunch breaks? Cupcakes suit him, don't you think? I like it. I even got a lovely lady in her raincoat to further prove my point. Mish mash. 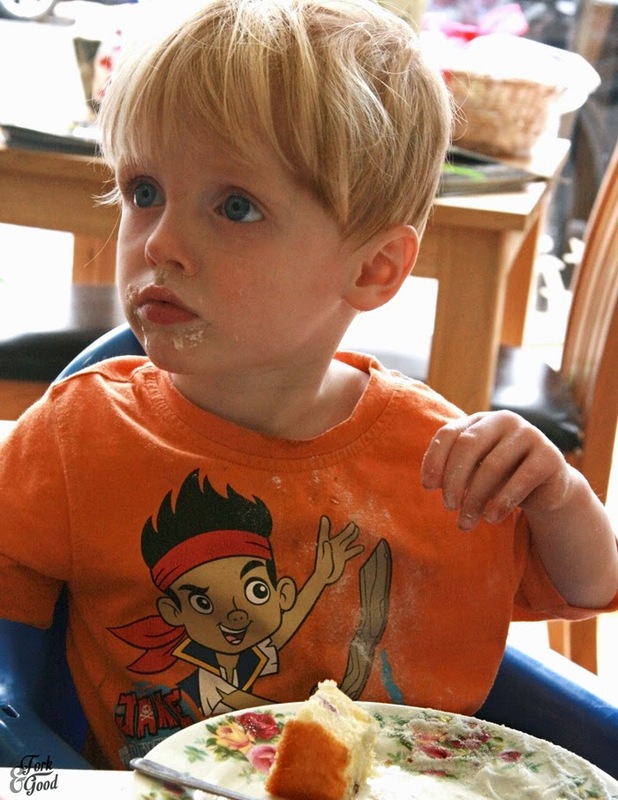 After enjoying the biggest slice of cake in the world (not even joking, everyone got to try a decent sized piece), Barney decides that rubbing the icing sugar into his shorts was a lot more fun. 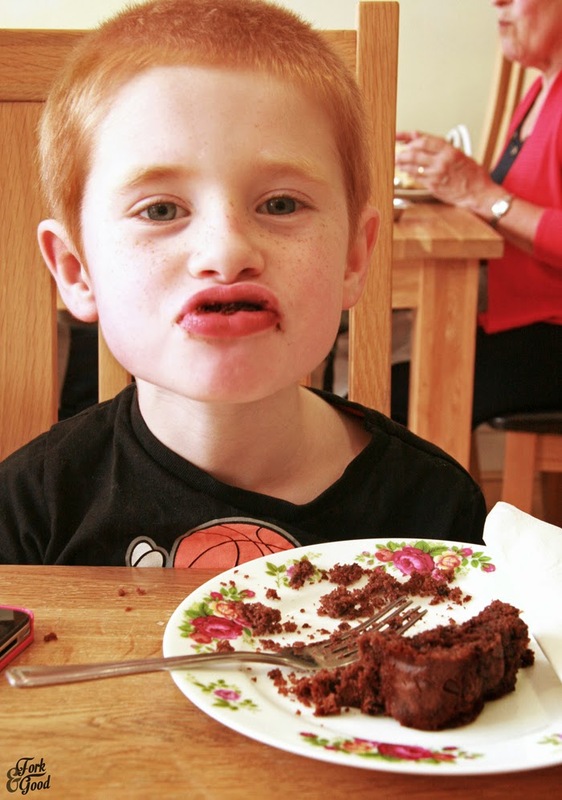 His verdict of the cake? I think that's written all over his face. 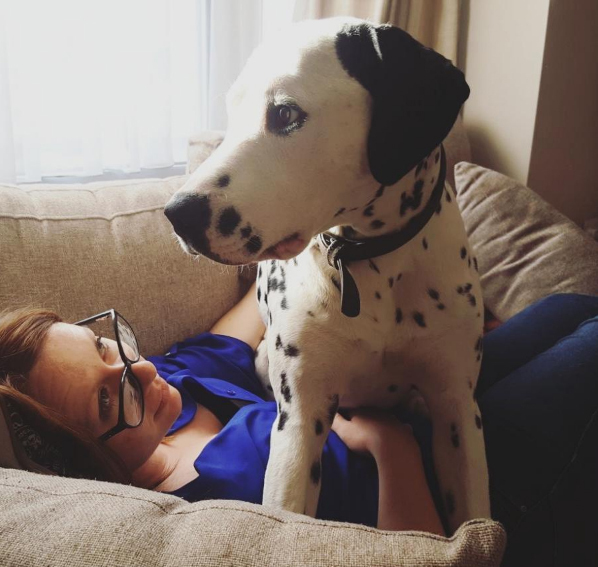 I had a tea cake, with lashings of butter and jam. My verdict? It was pretty banging. I ate that pretty quickly, between Kris and I taking shots. Kris and Fiona had a scone each. This provided the topic of the day, what goes on first? The jam or the clotted cream? Fiona was a jam on first kinda gal, and Kris preferred his the other way around. Which way do you take it? Answers on a post card. Or in the comments, I'm not fussy. Once we'd drained our cups and made quite a mess, we paid up and left. 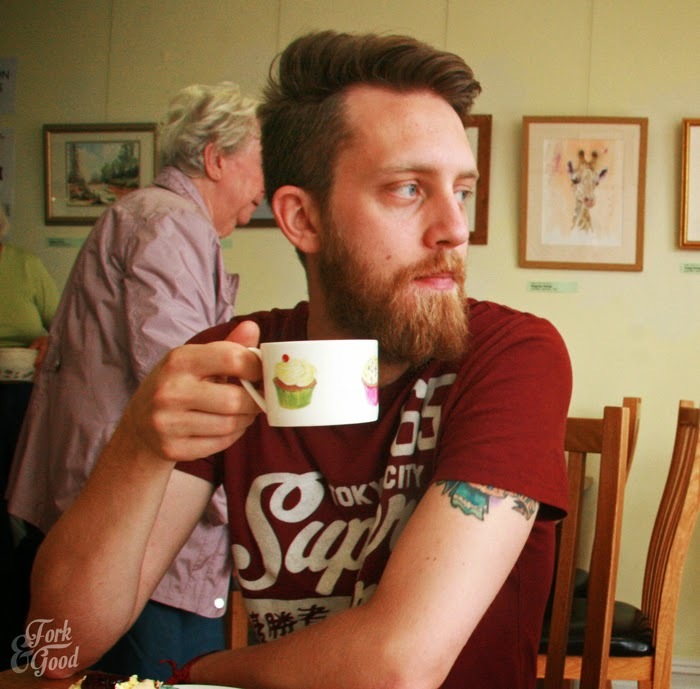 Disclaimer and stuff: I wasn't paid to review this tearoom, and we paid for our own stuff. Not everything is done for money guys! Support local businesses and all that jazz. Pahaha, I'm a cream on first, I hadn't even heard of it being any other way! I wish we had a tea room or two here in Topeka. It is one of the things I miss about the UK. 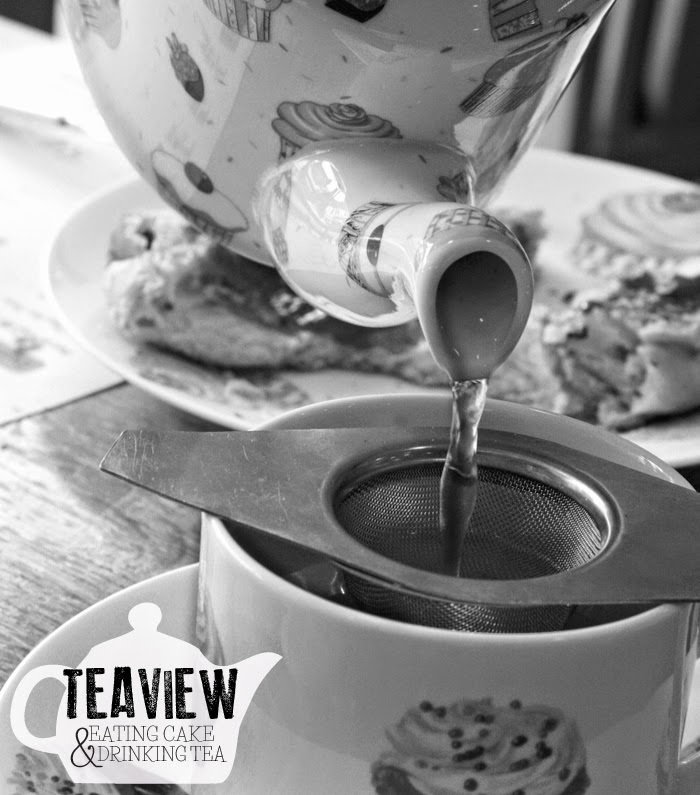 We have plenty of coffee shops, and most serve tea, too, but nothing like this lovely tea room. I love a good tearoom Linda, there's something really lovely about them. Everyone in there just wants to chat and have a nice slice of cake and a good cup of tea! Cheers! :) I would say i sampled some, but C DEVOURED that peice! The tearoom looks lovely. Sounds like you had a lot of fun. The boys look like they are enjoying their cake. If you're ever in England you should! It's pretty! Butter, then jam - I don't eat cream. And my mum has those plates with the rose pattern on. So can I just become a best friend to go along on these tea journeys with you? Please! I put the cream on first but my mum puts the jam on first and we are from the west country and its a sacred meal is afternoon tea down their!!! I love a good independent tea room much nicer then those big chains! Jam first, anything else is wrong !